Every year Stone release an anniversary beer to mark the birth of their brewery in 1996. 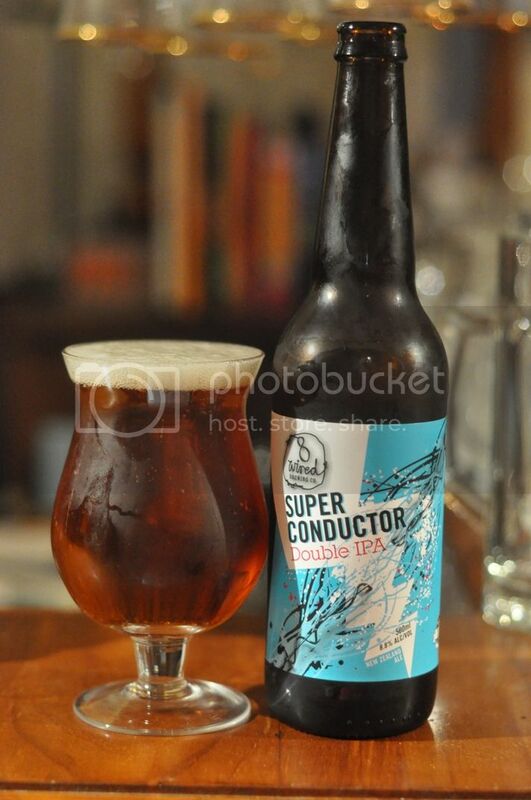 This year, I assume to mark the beginning of cold shipped stock to Australia, they have brewed an Imperial IPA made with all Australian ingredients. I knew as soon as I heard about it that this would be a beer I reviewed. When I first heard about this beer I was particularly interested to find out what hops they were using. What they settled on wasn't particularly exciting; Galaxy, Topaz, Ella and Vic Secret. I'm not a huge Vic Secret fan but I am very partial to Galaxy, Ella and Topaz. Stone had Fairview malts shipped in for the brew, which is nice attention to detail. Although I'd expect nothing less from Stone! Onto the nose and it's quite incredible! It's ridiculously hoppy and packed full of tropical fruit and citrus characteristics. The most prominent fruit on the nose is peach, a fruit I'm rarely able to detect. The malts definitely take a back seat to the hops, but there is a slightly earthy aroma that is accompanied by some pepperiness. There's also just a touch of raw alcohol at the end as it warms, however it isn't overly unpleasant. I was so pleased to see the Thunderstruck IPA deliver on it's promise from the nose. It was packed full of tropical fruit flavours as well as citrus qualities and just a touch of pine. Mango comes through quite prominently from the tropical fruits, whilst peach is also still present but not as strong as the nose indicated it would be. It was well balanced with light earthy malts, but enough body to support it's 8.7%. There's great bitterness and a nice dry finish to round off the beer. 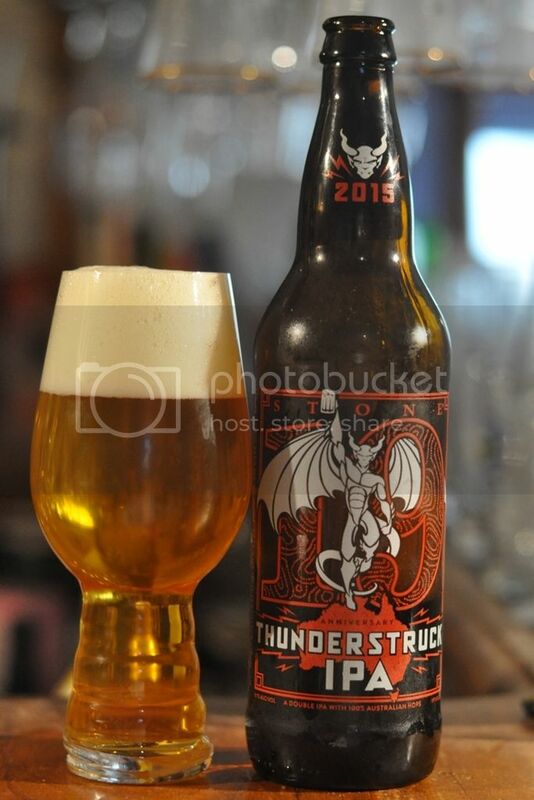 In Australia we don't make anywhere near enough Imperial IPA's; something that Stone's 19th Anniversary Thunderstruck IPA clearly demonstrates. Our hops are clearly suited to this intensely bitter style and it's something I hope more of our craft brewers take note of. This beer shows what great Australian Imperial IPA's could be, now our industry has something to aspire to using our own local ingredients! Top job Stone; can't wait for your 20th anniversary beer!